As said in Korea, 'live by the power of rice, rice is medicine', Koreans consider rice to be the greatest food in the world. However, rice is difficult to process and is mainly steamed. 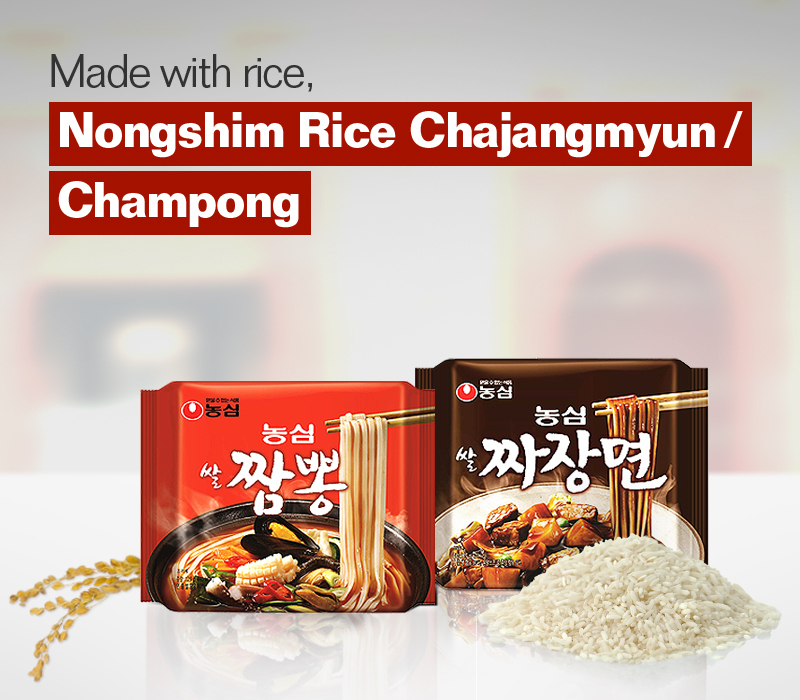 Nongshim proudly presents Nongshim Rice Chajangmyun/Nongshim Rice Champong with our noodle manufacturing technology for the Korean's appetite. Now, enjoy rice noodles instead of steamed rice. Nongshim's injection dried noodle is made by steaming rice cake paste, pushing it through a wicker tray and naturally dryinged with hot air after rolling. It is a type of dried noodles but contains the higher ratio of rice and other cereals. The noodles become chewier if made by high pressure. 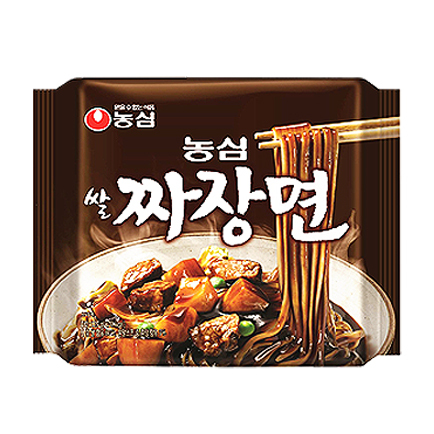 - Enjoy thick and tasty chajang flavor. - Rich flakes are contained such as cabbage, potato, onion and peas. 1. Boil 500ml of water. Add noodles and flakes and boil for another 4 minutes. Stir well with chopsticks so as noodles are not mingled. 2. Put 8 spoons of steamed water (60ml), soup base, and seasoned oil in a bowl and mix well. 3. Drain noodles and flakes and put into the bowl. Stir well and serve. 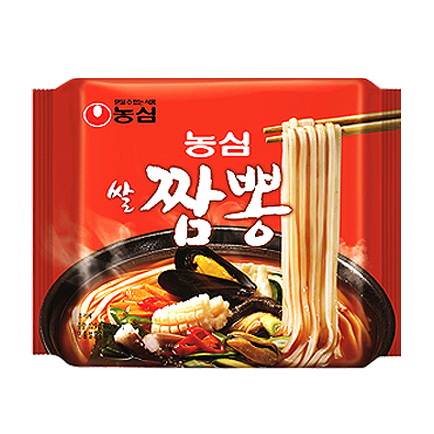 - Mussels and cuttlefish are used for refreshing and spicy flavor. - Shiitake, carrot, green onion, cabbage, cuttlefish, and seaweed are contained as rich flakes. 1. Boil 500ml of water. Add noodles, paste soup, soup base and flakes. 2. Boil for another 4 minutes. Stir well with chopsticks so noodles are not mingled. COPYRIGHT(C) 2016 BY NONGSHIM CO.,LTD. ALL RIGHTS RESERVED.